Brent Solomon’s Post Carbon City-State is a speculative model for Manhattan with zero carbon footprint, made entirely of green stuff. A light rail instead of cars, buildings with sides covered in plants for better air quality, etc. 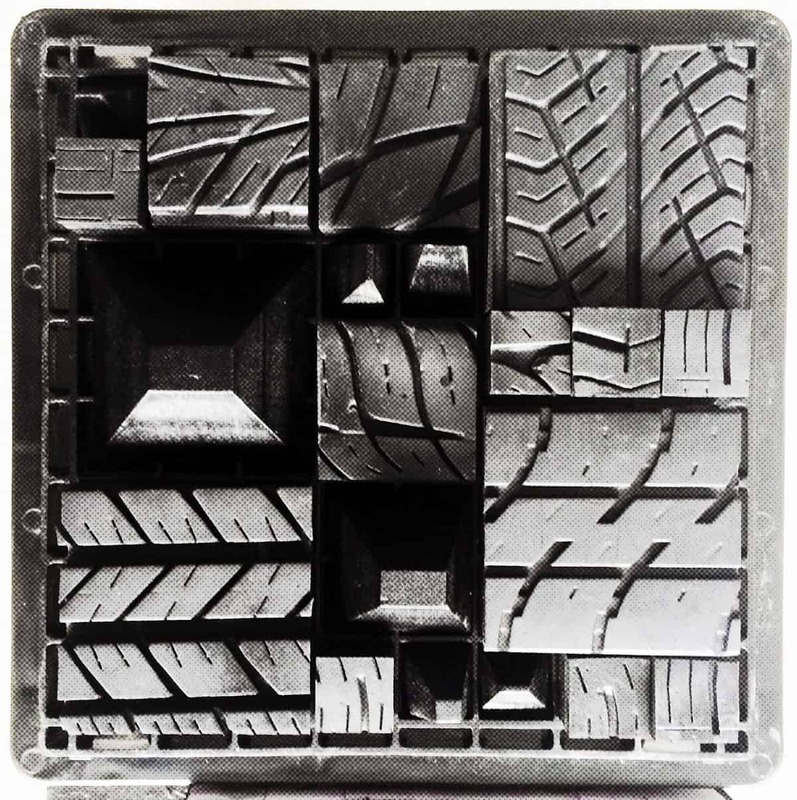 Upcycled car tire patterns represent the post-carbon materials that serve as the building blocks of the new city. It offers a glimpse into energy, transportation, infrastructure, waste treatment, food, and water for a future Manhattan when sustainability is simply just not good enough. As we explore the socio-ecological possibilities of New York City in Post-Carbon, we also continue to explore solutions for urban environments like it around the world. We’re restructuring the city to be proactive in resettling the climate, so that other cities may follow. That’s inspiration. 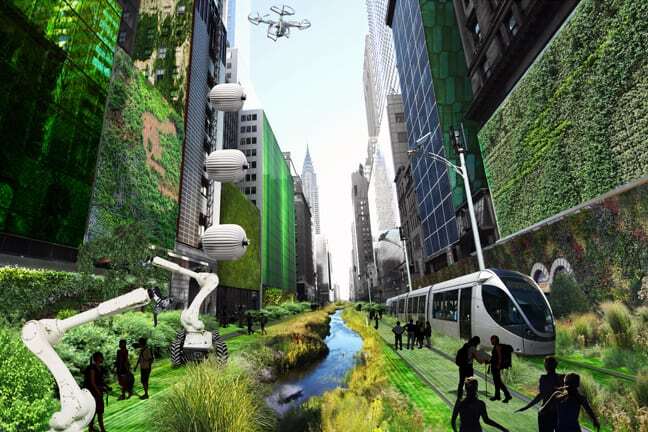 With that said, we imagine the void that was once Manhattan as an algae production plant for sequestering carbon and supplying amino acids for food production and biomass for energy generation capable of reformative growth. A lot of my work takes its influence from digital culture. My background is in Architecture, so I’m always looking for ways to bring these notions of formal complexity into built, physical space. Currently I’m admiring Daniel Widrig’s work, who collaborates with fashion designer Iris Van Herpen. I enjoy Tom Gallant’s work as well—he cuts intricate floral prints out of archived pornographic reading material. I find that so interesting. And Enya. I’ve managed to find a good balance in knowing when and when not to act on my creative urges. Scott Belsky (of Behance) wrote an excellent book about making it as a successful creative marked with impulsive tendencies. Feed the monster or it will eat you. “The scope of my work overlaps between architectural design, research, theory, and education—exploring the relationship between contemporary digital culture and traditional forms of craft, and investigating ways to manifest these computational realities in the production and occupation of built space. My work has been included in exhibitions at Rice University, the Museum of Design Atlanta, RAW: Brooklyn, and the Creator Space Micro-Exhibition with Terreform ONE. In my free time, I document and write about art, architecture, and culture.” See more of his works on Behance or his website.